For the purpose of the DPA and GDPR we are the data controller and any enquiry regarding the collection or processing of your data should be addressed to Wendy Wells at our address 76 Derby Road, Stapleford, Nottingham, NG9 7AB. We may change this Policy from time to time so please check this page occasionally to ensure that you’re happy with any changes. By using our website, you’re agreeing to be bound by this Policy. We are registered with the Information Commissioner’s Office (ICO) for this purpose. 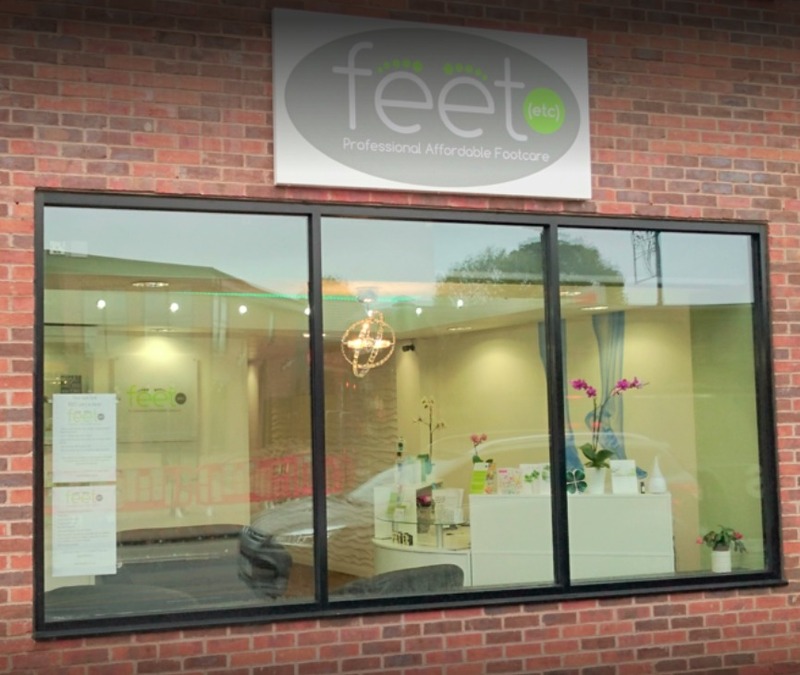 We are FEET (etc), a Podiatry and beauty clinic. We offer: Podiatry/Chiropody assessments and treatments, Biomechanical assessment, insole/orthotic manufacture and provision and ELEMIS spa beauty treatments and massage. We might collect personal data on this Website only if it is directly provided to us by you, the user, e.g. your e-mail address, name, mobile/landline telephone number, and therefore has been provided by you with your consent. Normally you will only provide such details if you wish to make an appointment with us via our website, to enquire about an appointment/treatment or to sign up for our free e-newsletter or other resources. We also use analytical and statistical tools that monitor details of your visits to our website and the pages that you access and when, including, but not limited to, traffic data, location data, blogs and other communication data (but this data will not identify you personally). -Send you e-newsletters/communications, which you have requested and that may be of interest to you. -We do not use or disclose sensitive personal data, such as race, religion, or political affiliations, without your explicit consent. -We review our retention periods for personal information on a regular basis. We are legally required to hold some types of information to fulfil our statutory obligations. We will hold your personal information on our systems for as long as is necessary for the relevant activity, or as long as is set out in any relevant contract you hold with us. If you have given us consent to use your data for a particular purpose and you change your mind, you have the right to vary or opt out of our processing your personal data for marketing purposes by contacting us at feetetc@btconnect.com , or you can select your choices by ticking the relevant boxes situated on the form on which we collect your information. If you do not want us to use your data or want to vary the consent that you have provided you can change your marketing preferences at any time by writing to us at the address detailed in paragraph 2 or email us at feetetc@btconnect.com at any time. It is important that the information we hold about you is accurate. You have the right to request a copy of the information we hold about you so that you can ensure its accuracy. You can do this via email: feetetc@btconnect.com, write to us at: 76 Derby Road, Stapleford, Nottingham, NG9 7AB and request the information held about you. The DPA and GDPR give you the right to access information held about you by us. Please write to us or contact us by email if you wish to request confirmation of what personal information we hold relating to you. You can write to us at the address detailed in paragraph 2, or by email to feetetc@btconnect.com. There is no charge for requesting that we provide you with details of the personal data that we hold. We will provide this information within one month of your requesting the data. We may update these policies to reflect changes to the website and customer feedback. Please review these policies regularly to be informed of how we are protecting your personal data. This Policy was last updated in May 2018.